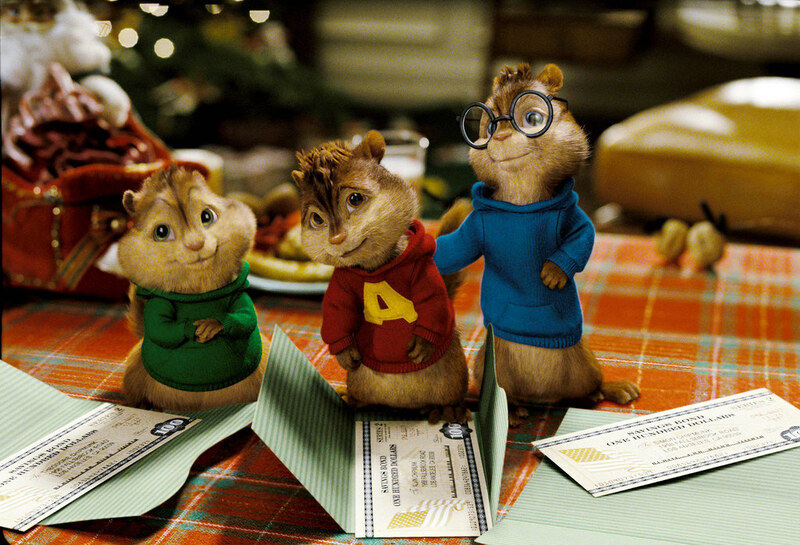 It may be hard to believe, but Alvin and the Chipmunks are a half-century old. They were created back in 1958 by Ross Bagdasarian Sr. The singing rodents have disappeared and reappeared a myriad of times in the last 50 years. Their most recent incarnation, in a theatrical film not so shockingly entitled Alvin and the Chipmunks, hits store shelves on DVD April 1. Directed by Tim Hill (Muppets From Space) and starring Jason Lee as Dave Seville, the film is a re-imagining of how Dave, Alvin (voiced by Justin Long), Simon (voiced by Matthew Gray Gubler), and Theodore (voiced by Jesse McCartney) originally got together. The film combines live actors and CGI chipmunks in a way that, more often than not, appears believable (if chipmunks could talk, of course). The basic plot is standard one which involves Dave as a struggling wannabe musician who, on hitting a low point in his life, meets three singing chipmunks. Dave is able to convince the evil music mogul Ian Hawke (David Cross) to take the Chipmunks on as an act and they become supremely successful. It's not long, however, before Dave and Ian clash, as Dave wants to keep the Chipmunks grounded and Ian is just after the next big song and will do whatever it takes to make the Chipmunks, who are child-aged, happy and turning out hits. The push-and-pull between Dave and Ian leads the Chipmunks down the wrong road before the inevitably happy finale. Even with the rather bland plot, which does have the advantage of being a time-tested success, Lee and the voices of the chipmunks seem to give it their all. The film even updates the classic Chipmunk songs, “Witch Doctor” and “The Chipmunk Song,” for an added bit of nostalgia for older Chipmunk fans. The film does fall distinctly flat with the new Chipmunk music. As part of Hawke's plan for the group, he turns them into hip hop singers, and the songs they perform in that vein are less than fun. It is one of the points of the movie – the Chipmunks are not that sort of music group – but, those songs are still far less amusing than they ought to be. 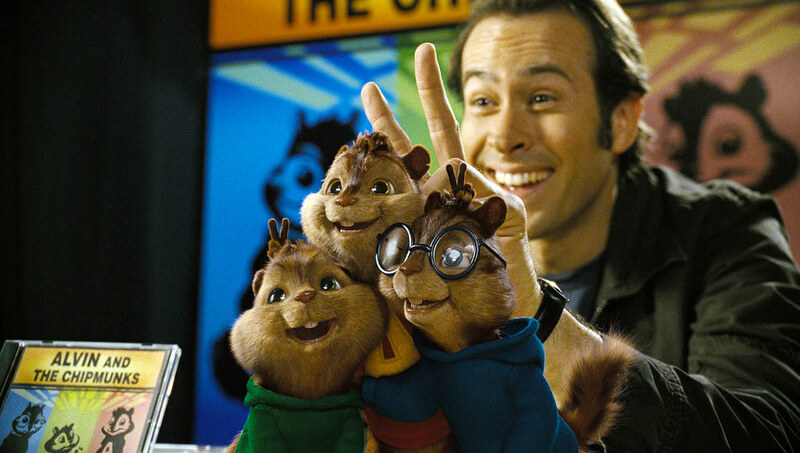 Yet, in one of the extras on the DVD release, Ali Dee, the executive music director, explains that he didn’t want to treat the “Chipmunks like they're three cool chipmunks,” he “just wanted to make a great record.” But, the musical genre chosen for the group is specifically chosen because it doesn't work for the group, it doesn't work for who Alvin and the Chipmunks are. Trying to tackle the songs in a serious way when they're supposed to fall flat (and yet be fun in their doing so) leads to music that doesn't work at all. That's not to say that all the music here fails. The update of “Witch Doctor” to a more current feel does work, but it works because the update is built on an original notion true to the musical group. Despite the well-worn plot and some of the disappointing music, the movie still works. As odd as the notion of young singing chipmunks may be, it is truly entertaining. The film plays well for young children and yet has enough of a nostalgic feel to make older people who remember earlier incarnations of the group happy. The DVD release has both a widescreen and fullscreen version of the film. It also contains a short, fascinating, featurette on the history of Alvin and the Chipmunks and the aforementioned featurette on the music. Not everything about this big screen attempt at Alvin and the Chipmunks works perfectly. The chipmunks do, at times, look distinctly computer generated, the music is moderately disappointing, and the plot doesn't break any new ground. However, the feature is light-hearted and amusing enough to make one happy that the Chipmunks are back… again. ‹ Is Dr. Reid Ted Mosby’s Once-and-Future Wife?